Join Chris Rua, CHMM on May 21, 2019 at the 2019 National Association of Environmental Professionals (NAEP) Conference in Baltimore, Maryland. Chris, a Senior Compliance Specialist with PHE, will be presenting a paper on why a sustainable approach to construction and demolition (C&D) waste management is not only good for our environment, but can reduce regulatory compliance burdens and add to the bottom-line. Facility managers tasked with the responsibility of sustainably managing their wastes often run up against some significant challenges when dealing with C&D waste. This is especially true for federal facility managers/engineers that are required to comply with Executive Order 13834, Efficient Federal Operations, which mandates that federal agencies implement waste prevention and recycling measures in a manner that increases efficiency, optimizes performance, eliminates unnecessary use of resources, and protects the environment. Register today and learn about the challenges of managing construction and demolition waste, tips for cost saving measures, and potential opportunities for sustainable management. PHE Awarded 10-year A/E Environmental Services Contract with the United States Coast Guard! PHE, with our JV partner Michael Baker International, has been awarded an IDIQ contract to provide professional environmental engineering services to Coast Guard entities nationwide. This is the second consecutive award of this contract to PHE, and we look forward to continuing to provide exceptional support to the Coast Guard mission. 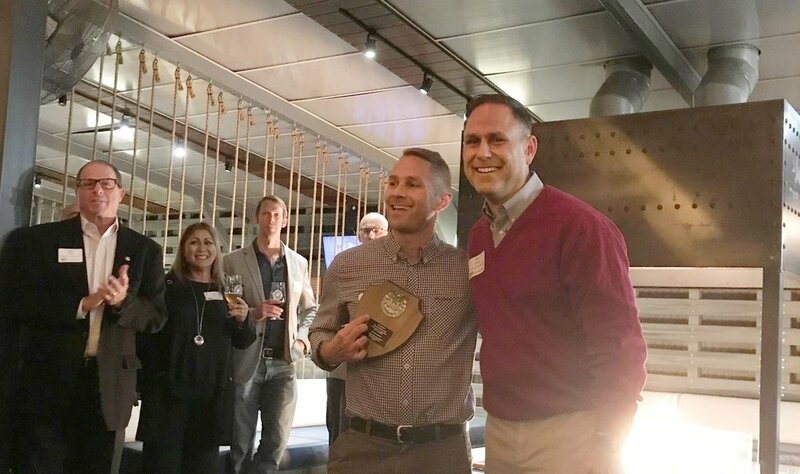 PHE would like to congratulate Paul DiPaolo for winning the 2018 "Gaslamp Award for Outstanding Leadership and Accomplishment in support of the SAME Mission by a Young Member" for the San Diego Chapter of SAME! We are incredibly proud of Paul’s efforts and contributions this year. October 2018 - PHE is looking forward to seeing our friends and collegues at the SAME 2018 Small Business Conference in New Orleans from October 31 through November 2. If you’re looking for opportunities with PHE, please touch base with Fred Carey, John Ribar, or Rob Naumann at Booth #538! The last 30 years have transformed the way we understand and address human impact on the environment, and have increased emphasis on conducting business in an environmentally sensitive manner. Since its founding in 1988, PHE has been helping businesses and government agencies achieve a balance between mission-effectiveness and protection of our natural resources. With three decades of hard-earned experience, PHE’s commitment to helping our clients navigate complex environmental requirements – and address new environmental and societal challenges – is stronger than ever! PHE was awarded a blanket purchase agreement (BPA) with the General Services Administration (GSA) Public Building Service (PBS) Great Lakes Region 5 to provide environmental support services at GSA facilities within the region. The Great Lakes Region supports federal agencies in Illinois, Indiana, Michigan, Minnesota, Ohio, and Wisconsin. PHE’s Chris Rua and Chris Fafard visited U.S. Coast Guard Station Atlantic City for a facility tour, hosted by the SAME New Jersey Post. May 2018 - PHE will be at JETC 2018! May 2018 - PHE is looking forward to engaging in another productive Joint Engineer Training Conference! Please make sure to touch base with Rob Naumann and Paul DiPaolo if you are able to attend. Melissa Secor volunteered as a Sponsor Judge for the SAME Pittsburgh Post at the 2018 Pittsburgh Regional Science and Engineering Fair. About 1,000 students from more than 100 schools across western PA competed at the fair for over $1M in cash prizes and scholarships. Awards from the SAME Pittsburgh Post were for projects that involved improvements in infrastructure, emergency preparedness, or national security.